BriggsFiscal was established in 2004 by Gary Briggs. Based in Stanmore, North London, the company is directly regulated by the Financial Conduct Authority. Our core client base comprises a mix of long-standing personal clients and small businesses, and in recent years our corporate clients have expanded to include a global luxury fashion retail brand, a national restaurant chain and a multinational cosmetics business. As Independent Financial Advisers, BriggsFiscal provide advice on products from the whole of the market. Unlike advisers who advise on products from a single provider or limited range of providers, we are able to draw from the complete spectrum to recommend the most appropriate products for you, on a competitive fixed fee service. Our impartiality extends to every aspect of our practice. If necessary, we can introduce you to the services of other professionals such as Solicitors, Accountants, Stockbrokers and Commercial Insurance Brokers. We look forward to being of service to you and hope you enjoy browsing through our website. Gary celebrated 25 years as a financial advisor in 2013 and has been independent since 1991. He co-directed a number of larger practices before setting up BriggsFiscal in 2004. 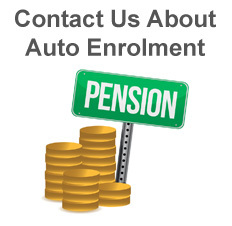 Gary is experienced in all aspects of financial planning and in recent years has developed a specialist service for group insurance and company pension schemes, especially ‘auto enrolment’. He prides himself on excellent project management skills, working alongside in-house HR teams and payroll service providers to deliver complex programmes in often quite challenging timescales. In his spare time Gary is a keen tennis player and frequent traveller. His excellent organisational skills extend to the latter, often creating international trips for family and friends around major sporting events.